Following growing public awareness on the issue of discards, combined with progress in the Common Fisheries Policy (CFP) reform agreeing to reduce discards from 2015, there are important implications for fisheries management. Both fishing gears and methods may have to be adapted to address and implement these changes. Discards (unwanted fish and animals that are thrown back into the sea after they’ve been caught) are unpopular and present a huge waste of fish. There is a general consensus they must be stopped and this is being addressed in the reform of the Common Fisheries Policy. • fishermen have responsibility to document and account for all fish caught. Following a successful pilot from May to December 2010, the trial was increased from six vessels in 2010, to 19 vessels participating by 2012. This scheme has been trialled by several fleets in the south west of England and in the North Sea. Results show a reduction in discards, particularly through fishing gear changes such as using 100mm square mesh cod ends which allow smaller, juvenile cod to avoid being caught as bycatch then discarded, are helping stock levels. The technology used in the trial involved fitting video cameras, sensory links to GPS, vessel hydraulics and analysis software to a participating vessel and their fishing gear. The video cameras confirmed that all fish caught was retained onboard. Vessel hydraulics and software helped to verify when the boat was fishing, with GPS detailing exact locations for the catches because the vessel’s position was recorded every ten seconds of the six day trip. The authorities could access all of the data collected, including CCTV footage; so once a fish was caught the footage could be analysed to track the process from sea to land, recording fish size. Andrew Pillar, fleet manager for Interfish, based in Plymouth, saw that the catch quota system could work for their vessel, the Admiral Grenville due to the composition of their catch and their seasonal mixed fishery which aligned with the selective gear used in the trials; meaning the vessel could target high value fish throughout the year. He wanted to continue the trial in 2012 to see if there were any significant changes across seasonal variations, which affect both the size and catch composition of fish. To date, the Admiral Grenville has no technical issues to report, and the CCTV cameras, sensors, winches and GPS only took a day to fit. According to the relief skipper and mate of the Admiral Grenville, the real test for the technology, particularly the camera positioned on the wheel house, will come during the winter when weather and sea conditions are more challenging. They say the work is more intensive with weighing catches and recording individual fish, but they have noticed a market opening up for fish such as dab and pouting. The crew of the Admiral Grenville are happy to be recorded by CCTV during trips at sea, but this may not be true across other vessels. Relief skipper and mate, Dave Shimell, argues the scheme won’t work in all fisheries as he thinks it could force boats to stop fishing when they have reached their quota, putting them out of business. He also thinks that catch quotas may also be a threat – citing the need to learn from the Scottish fishing industry. The catch quota system can work as seen in these trials; however they do not provide a complete solution to fisheries management. 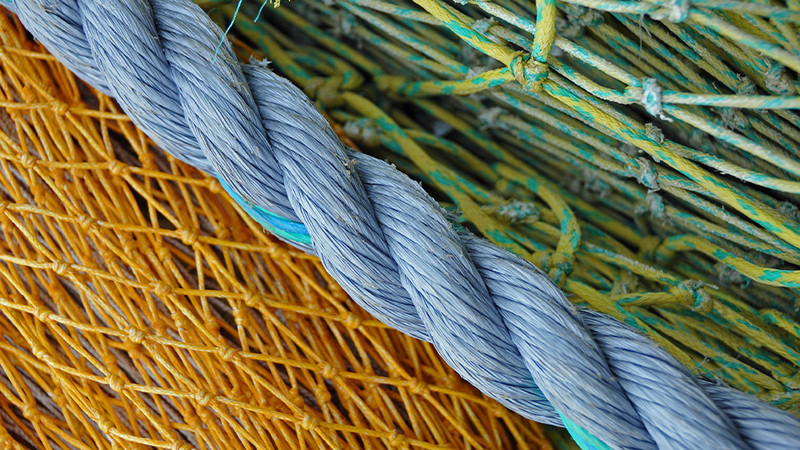 This trial demonstrates the success in working directly with fishing vessels, scientists and local gear manufacturers, who have all contributed to the trials with specific changes to their gear depending on where they fish and what their main target species is. This entry was posted in News on August 13, 2013 by Katie Miller.